The cleverest conceit in John Wick – 2014’s Keanu Reeves-starring surprise hit – was the secret society of assassins that the title character belonged to. Operating underground from behind the façade of an elegant hotel called The Continental, this cabal is governed by its own peculiarly genteel set of rules. For example, in John Wick: Chapter 2, we see two of them engaged in a violent struggle, which has to come to an end when they cross the threshold of The Continental, where no blood must be shed. Instead, the two bloodied and bruised men take a seat at the bar to have a drink, just like two professionals at the end of the working day, ready to resume their feud at another time. Rules are rules, and heaven help anyone who crosses the line. Rules are very important in the world of John Wick – “Without them,” Winston (Ian McShane) suggests, echoing Miller's Crossing, “we live with animals.” – and this new film from director Chad Stahelski follows the unwritten rules of the sequel-making. John Wick 2 is bigger, longer and more ambitious than the first feature, and it digs deeper into the world that the original set up for us. Is it a better film, though? Well, yes and no. On a level of pure craft, John Wick 2 is a cut above Stahelski's already impressive debut. (David Leitch, the co-director of the first film, is not involved here.) Each of Wick's encounters with his assailants – whether through hand-to-hand combat or gunplay – is staged and edited with exquisite clarity, precision and ingenuity, not to mention a vital sense of humour. An added hint of absurdity is introduced through Wick’s bulletproof jacket, which allows him to withstand the unceasing hail of bullets, and the dog-eat-dog battles are punctuated by neat comic touches. As Wick and rival assassin Cassian (ably played by Common) pursue each other through a subway station, they need to sneakily get silenced shots away in order to avoid alerting the surrounding commuters, and a fistfight is interrupted by the comical sight of the two men rolling painfully down some stone steps. 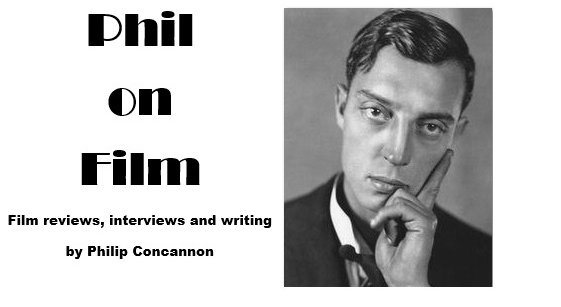 Not for nothing is the first man we see in the film Buster Keaton. Reeves brings the same impassive, deadpan gravitas that made this character feel like such a perfect fit for his distinctive screen presence from the moment he appeared onscreen, reminiscent of Point Blank’s Walker. It’s fun to see returning cast members such as McShane, Lance Reddick and (briefly) John Leguizamo, but aside from Common, the new villains don’t feel like worthy foes. Riccardo Scamarcio is a limp disappointment as the Mafioso who pulls Wick back out of retirement (again), while Ruby Rose’s mute sidekick is so poorly defined I still don’t know if she is supposed to be deaf or not. It’s not a great film for women generally – the only other female character has a few lines as she disrobes, and then slits her wrists – and I missed Adrianne Palicki, whose hitwoman was a highlight in the first picture. There’s an interlude on a rooftop with Laurence Fishburne and his pigeons, but that occurs around the point when the additional twenty minutes John Wick 2 has over the first film starts to feel like a drag. John Wick 2 has extended far beyond the lean, straightforward simplicity of its precursor, to the point where it seems every face in the crowd is a potential assassin, and the film tapers off towards the end as Stahelski switches his gaze to the forthcoming third film in the series. The John Wick universe will continue to expand, but as it gets bigger I find myself missing the basic emotional stakes of the first film, with Wick determined to avenge his dead dog and retrieve his stolen car (the equivalent of Walker’s “I just want my money” in Point Blank). 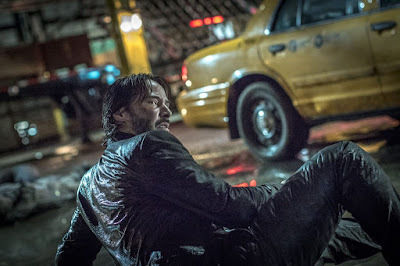 Few films can match John Wick 2 for spectacle (the climactic hall of mirrors shootout is gorgeously shot) or skilful execution, but it’s a film I admired without ever really connecting with, and as the series grows I hope the filmmakers don’t lose sight of what made this character so appealing in the first place. It’s worth noting that the Buster Keaton clip at the start of the film comes from his 45-minute masterpiece Sherlock, Jr. There’s a man who knew the value of economy.